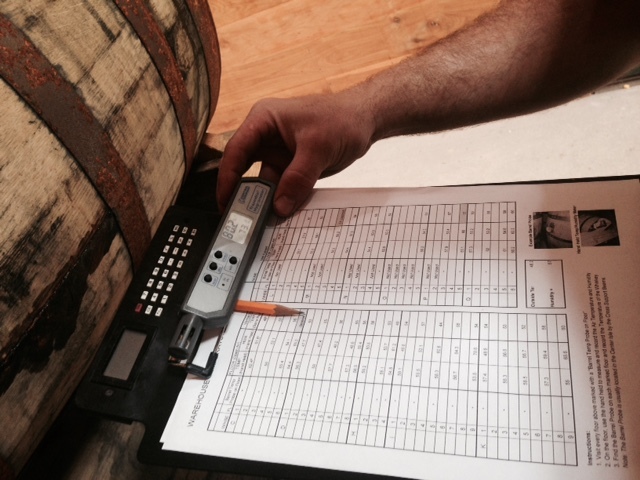 Our first experiment is well underway in Warehouse X. 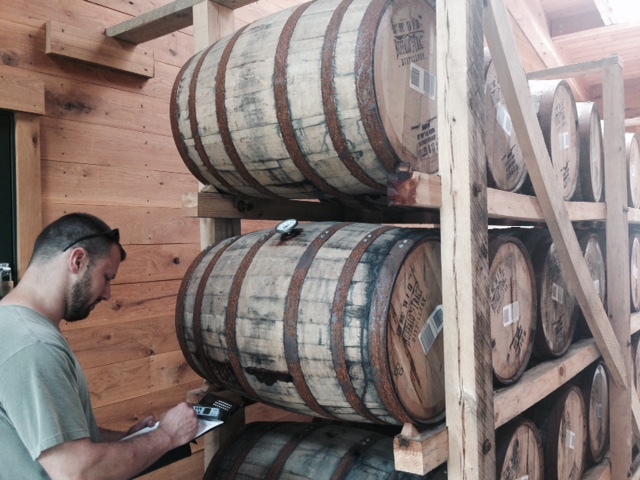 Barrels have been aging in all 4 chambers and the breezeway for almost one full year now and we are observing some interesting things. In this particular experiment, we are varying the amount of sunlight in each chamber. 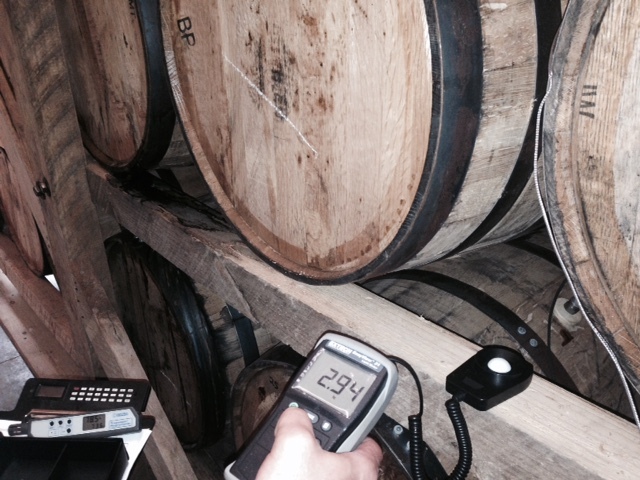 We are controlling temperature, humidity, and air flow in each chamber as well. 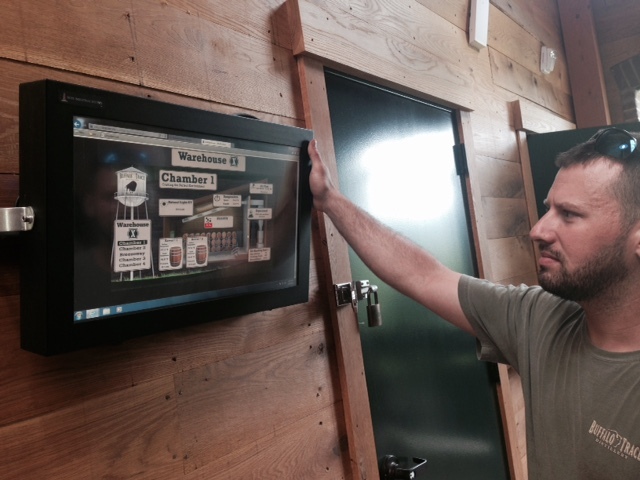 Our warehouse team has been busy. Every month they take a lumens reading to monitor the sunlight in each chamber as well as recording measurements of psi pressure, temperature, humidity, and air flow. Two different barrels in each chamber are equipped with a pressure transmitter on the inside of the barrel, just below the bung. 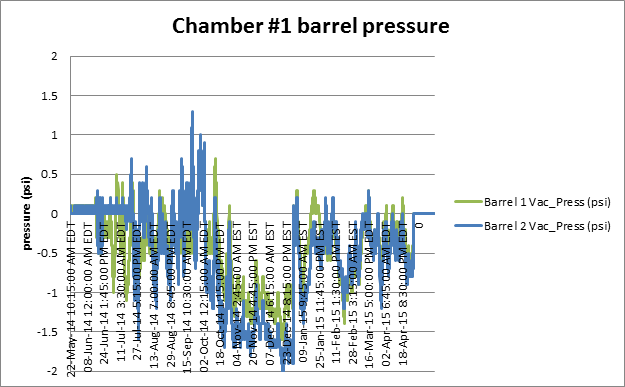 We are observing variations in the pressure inside these barrels between different chambers. 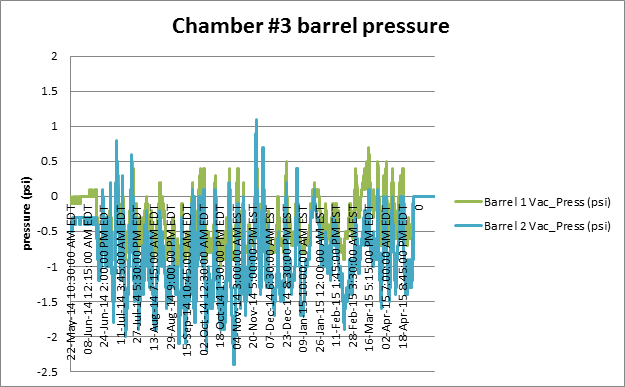 These are early possible indications that barrel pressure is affected by exposure to sunlight. 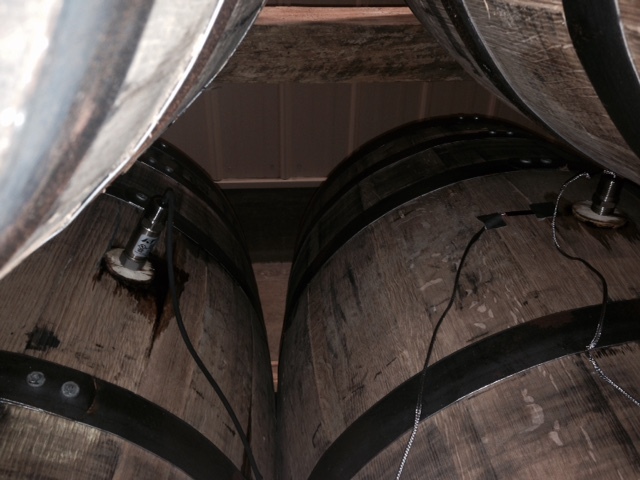 We are also theorizing that barrels transmitting less pressure, and more vacuum, are undergoing a period where bourbon is being soaked into the wood. In the barrels indicating they have higher pressure, we theorize it is the bourbon is being pushed back out of the staves. But, it is very early days and we are still learning. No absolute conclusions yet! These are very interesting findings and we can't wait to taste these and see if and/or how they differ.